FEGA is the world’s foremost authority and organization for firearm engravers and hand engraving enthusiasts. Founded in 1981 to provide opportunities for engravers to exchange ideas and knowledge, network, assist in improving individual skills, promote firearm engraving as an art form and to raise public interest and appreciation in quality firearm engraving and hand engraving. Today, FEGA has a varied following, but our members have a great deal in common – they appreciate the skill involved in hand engraving firearms or any type of metal whether it be knives, jewelry or any other type of canvas that can be hand engraved. Firearm engraver or collector, hand engraver of one genre or a variety, teacher or student first discovering this amazing art, there is a place for you in FEGA. FEGA publishes the “Engraver" magazine, a resource for and about firearm engravers and hand engraving. A quarterly full glossy 32 page magazine crammed full of how to articles along with engraver profiles and projects. It is the only publication in the world devoted solely to the art of hand engraving. 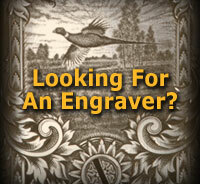 FEGA also maintains an historical database that includes hundreds of engravers, past and present. This database is continually being updated for future generations. This web site provides the public and FEGA members with resource material, information about the Guild plus a shopping facility to buy a variety of items that can educate professionals and students alike in the art of hand engraving. DVD’s of past educational seminars covering a wide range of topics plus books, resin castings of actual engravings and miscellaneous items. The FEGA Master Engraver certification is for those hand engravers that wish to be acknowledged amongst their peers for excellence in engraving. It is open to all FEGA members. There are also annual awards that allow FEGA members to compete in at the annual exhibition/convention. The level of work presented is outstanding in all categories. There is also an incentive program that provides a grant which gives the opportunity for FEGA members to display for the first time at our annual convention. 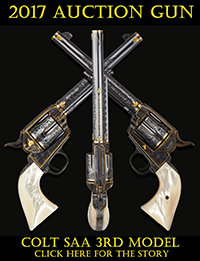 For FEGA members, engravers, collectors and the general public, FEGA also has an annual convention and exhibition so you can see some of the very best engraved custom firearms in the world and gives everyone attending a chance to network with each other. As a part of this we have a day set aside for seminars that cover a range of hand engraving topics. Everyone is welcome to attend these as they are free. FEGA also has a school program where students at various schools around the USA can be given some resource material in school packs. We plan to make FEGA even more pertinent to the continuing education of our members, and the general public. We also plan to guide the rest of the world in recognizing the fine art of firearm engraving and hand engraving in general. We welcome your help in shaping the future. So there is a place for everyone in FEGA that is interested in the beautiful art of firearm engraving and hand engraving in general. Hand engravers, collectors, artists, crafts people, metalworkers and scrimshanders, professional and student all have their place within the Guild. American and international, all are welcome because there is something for everyone.